Mather Architecture is committed to high quality design outcomes that respond to individual client requirements. We tailor this approach to suit your home, being there through the whole process, including construction, to ensure that the final product is the best that it can be. We start by getting to know each other, we’ll discuss your project and what your aims and goals are as well as your brief and budget. The function, materials and spaces in a home should not only meet your needs, but combine to create a home that is a joy to live in, in all seasons. We will assess the site conditions; looking at the surrounding environment and how the existing or new building can make the best use of the site’s assets. Existing planning, level changes, structure, services, sunlight, views and environmental performance are all considered at this stage. A series of sketches will be discussed and how they work with your site and lifestyle. 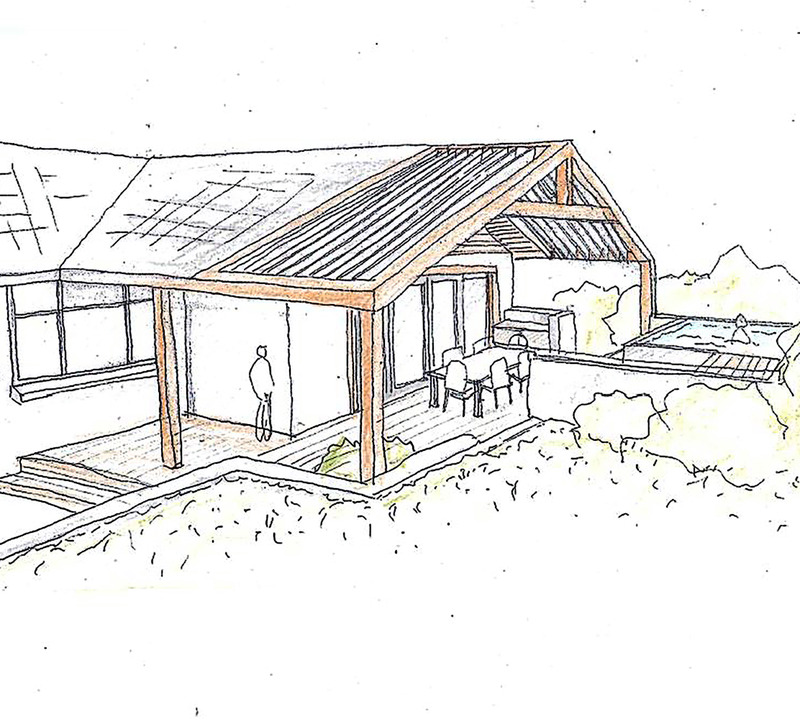 These sketches, focus on the planning and relationships between spaces and will incorporate local planning regulations. During this stage the focus is on fine tuning the layout, the look and feel of the interiors, external form and the materials for your project. 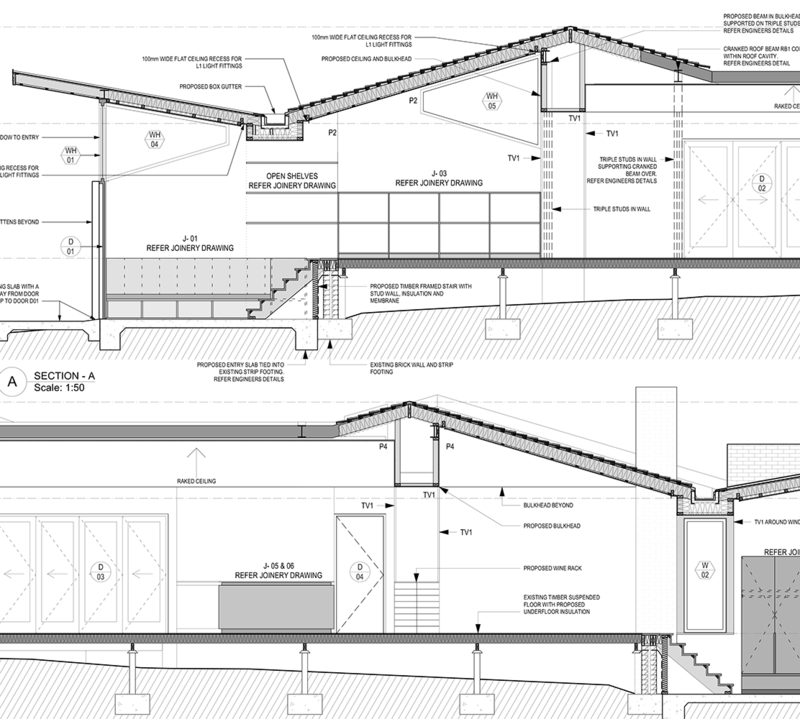 Your Architect will refine the concept design sketches into a comprehensive set of drawings. 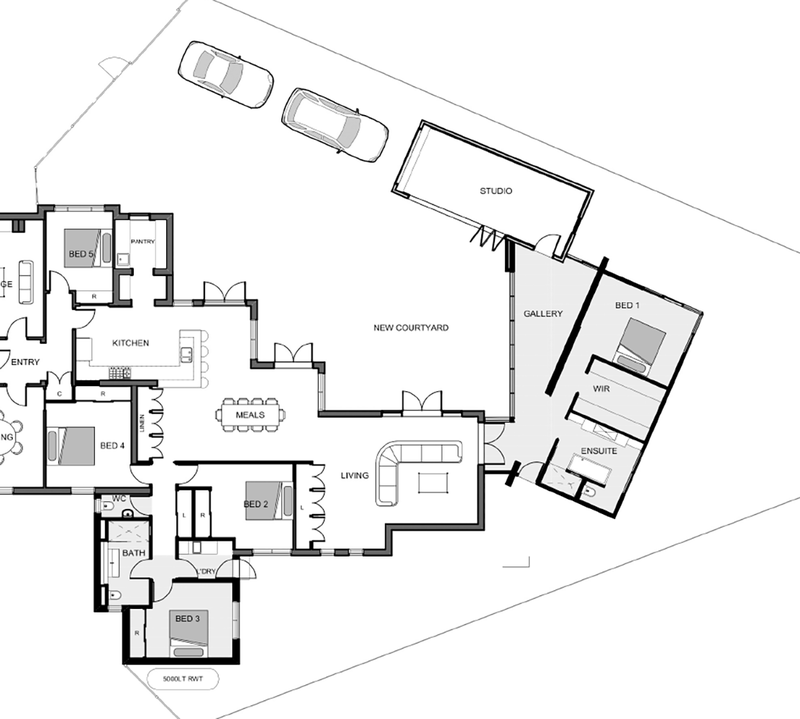 A series of plans and elevations will be provided so that you can visualise the changes to your house. Consultants, such as the structural engineer, will work with us to review and refine the design. Together we will review and estimate of the cost of works and tailor the project to your needs. If a development application is required for your design, we will discuss this with you during this stage. 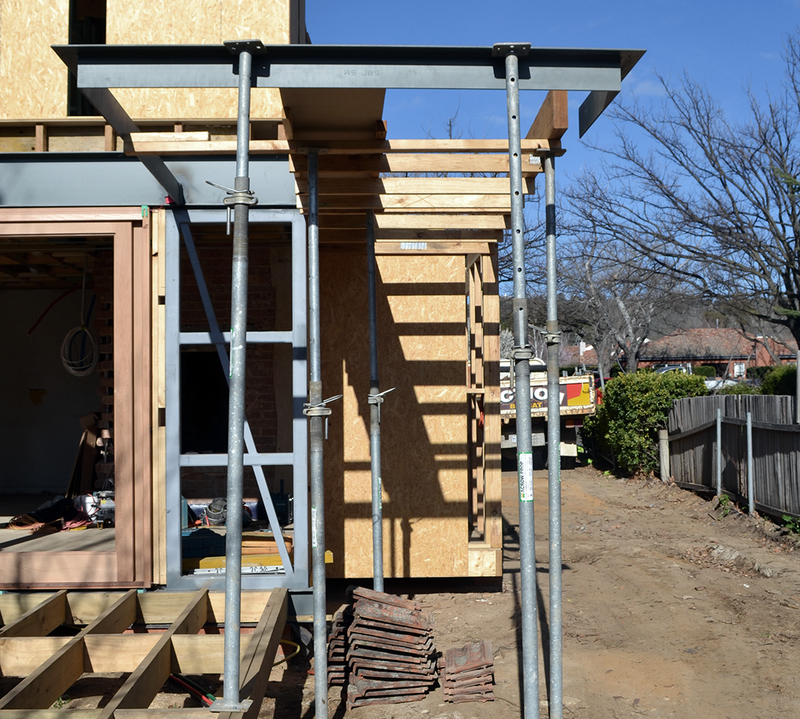 The construction documentation stage is where we focus on the technical details of the project. Preparing documentation for your builder. We will guide you through the many selections required and will provide you with a set of drawings tailored to suit your project. This can include; plans, elevations, construction sections, interior details and joinery design, electrical and lighting plans. Any additional relevant technical drawings and specifications which detail all the materials, finishes, fixtures and fittings, and the quality of work will be developed as required. During this stage, we will submit drawings for building approval on your behalf. It is important to select the right builder for your project. We have great working relationships with many excellent builders. The selection of a builder can be completed in two ways. Option 1: A preferred builder can be selected during design development. This selection process allows us to seek initial costings and work closely to refine the detail to match your budget. The builder will provide a final lump sum costing and collectively we will assess whether this accurately reflects the scope of works. 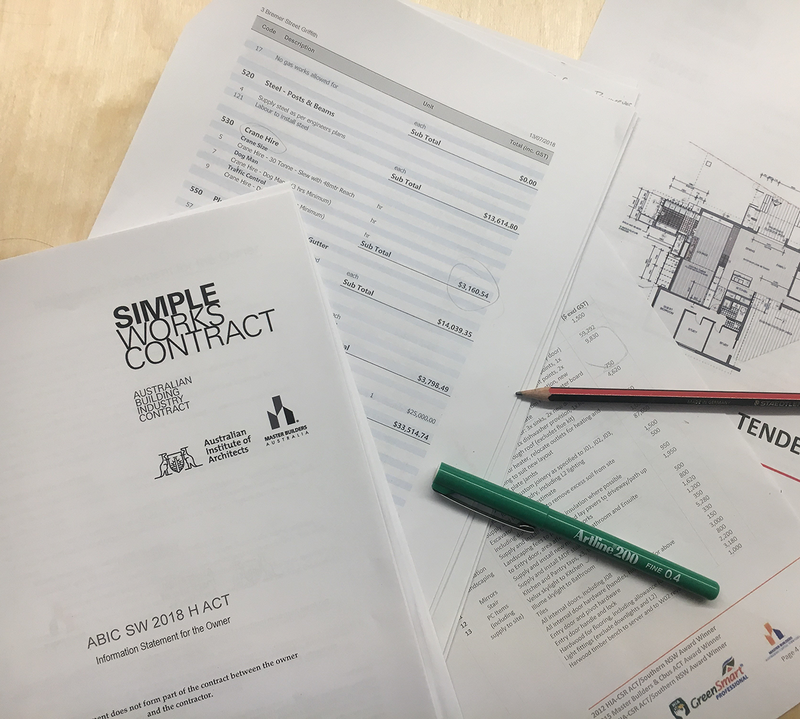 Option 2: A formal competitive tendering process will be conducted where we invite up to four builders to cost the project using our highly detailed construction documentation. We will review the tenders and recommend which builder to select or, which builder to negotiate with on your behalf. Option 1: We manage the administration of the contract between you and the builder known as contract administration or full services, this includes: arranging regular site meetings with you and the builder as often as twice a week. We will track and report regularly on the progress, instructing the builder on design and quality control, assessing variations and obtaining your approval where necessary. Builders progress claims will be monitored and progress certificates will be issued before you make each payment. Option 2: We are not involved in the building contract but keep an eye on the progress of the works and work with the builder regarding design quality control, materials selections and performance, this would typically involve a fortnightly site visit with some additional follow up. While this gives you a bit less control over cost and quality it can be a good option where your budget is a little tighter.